This church and its grounds took my breath away when I first saw them. Everything was so exquisite, from the church building itself to the clock tower, then the stonework and the beautiful gardens full of plants and flowers, not to mention the mountains in the background. This was truly a painter’s delight! 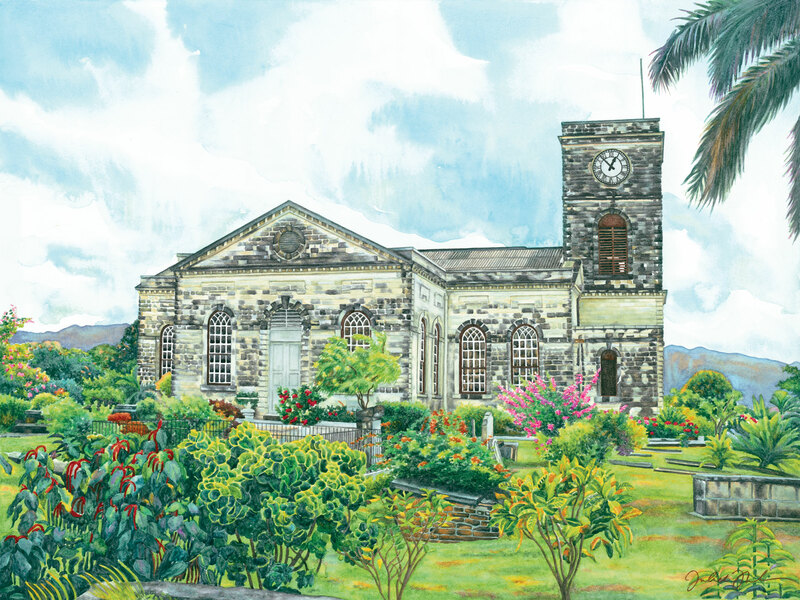 Found in the city of Montego Bay, Jamaica, St. James Parish Church is on of Jamaica’s most impressive churches. This is a limited edition of 50 giclée prints on watercolor paper. The original painting has not been sold.